He's the boss no one saw coming. He's big, fast, hits like the truck he appears to be, and for some reason, he refuses to die. 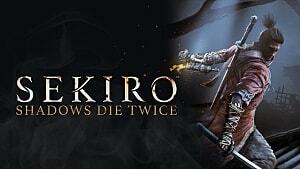 He's the Guardian Ape in Sekiro: Shadows Die Twice, and you have to kill him to finish the game. But how do you beat a boss who is this mobile, who can throw poop bombs that obliterate half your health bar, and who can generally be a total pain? 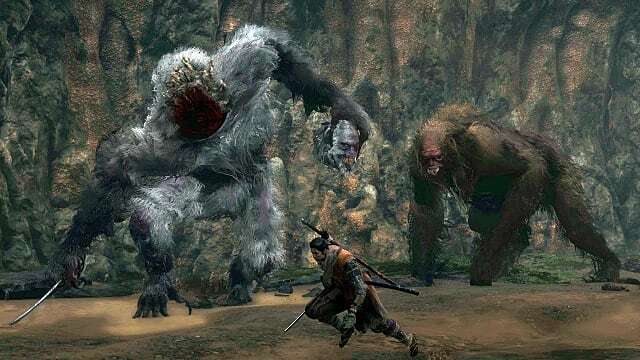 Guardian Ape is one of the largest, most mobile bosses in Sekiro, and the perfect counter to his speed and agility is applying some of your own. While it is possible to defeat him without him doing too much moving about, your first fight likely isn't going to be fast or efficient. First: stay on your feet and bait out every attack you can. The Guardian Ape's attacks are big, fast, and really hurt, but you can learn what they look like — and more importantly what their wind ups look like — if you dash in, force the boss to attack you, and dash out. I'm not talking the dodge button either. I mean sprinting directly at the boss, making him swing at you, then getting the heck out of there. I don't think damage should be your initial concern. Learning the fight is. 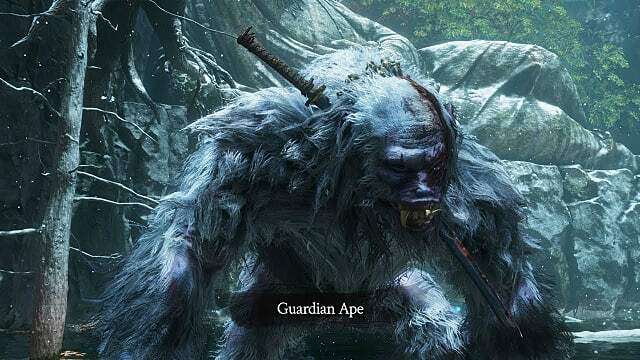 Once you have a handle on what the Guardian Ape's attacks look like, you can start hitting him. Ako Sugar or Spiritfall are great options, as is Divine Confetti. It may not seem like you're getting much value out of either buff, but trust me: they're doing a lot of work, mainly because you probably won't kill the Ape's first phase through Posture damage. You could make liberal usage of the Firecrackers Shinobi Tool, as that both stuns the boss and does a fair bit of Posture Damage. 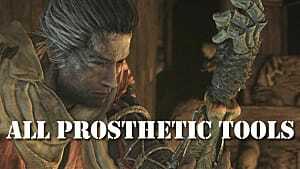 You can also infinitely stunlock him with the Mortal Draw Combat Art, but you need the Mortal Blade to pull that one off. For this second step of learning the Guardian Ape, don't be afraid to take risks and damage. 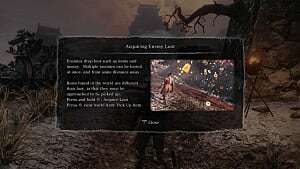 Half of the fun of a From Software game is learning through repeated failure, and unlike a lot of other bosses in the game, the Ape's attack strings are incredibly random. Prediction, even at the highest levels of play, is spotty at best. For instance, he has a lunging attack that puts him facing away from you, and sometimes he sits there stupidly for a couple of seconds. Other times, often when you're closer to him, he'll pause briefly then start slamming the ground behind him, making your approach both meaningless and detrimental to the larger fight. Another example: the Guardian Ape has a five-hit combo that appears rarely and seems to come out of nowhere. The trouble is, that's not the biggest surprise. Instead, what will no doubt get you killed at least once is the sheer range of the final slam. The boss both moves forward and reaches the full extent of his arm, and the hitbox seems even longer. 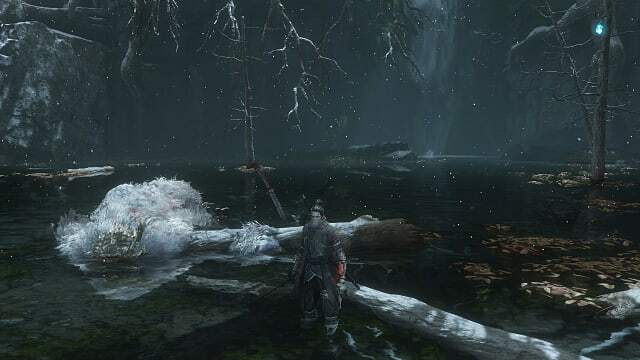 If you see this combo coming, and you'll learn it after enough deaths, my initial advice is to avoid it entirely, either by running away or grappling on any remaining trees. His grabs also warrant special mention. The first is a sweep, and while that's easy enough to jump over to land a quick Goomba stomp, the attack starts slow then goes shockingly fast, with slight variations in timing from grab to grab. Moreover, the damage is huge, and players with less than four or five prayer bead necklaces are liable to be straight up one-shot. His second grab only comes out when he's at half health or lower and is really more of a jumping slam than grappling. You'll no doubt see it coming from a mile away, and my best advice is to try and run perpendicular to the boss, as he'll smash into the ground and be vulnerable for an extended period. Note, however, the lingering hitbox that comes with either of these grabs. Even if the animation seems to be complete, the hitbox will still exist, and you can still be picked up by the attack on its last frame. Unless you're confident that you can dodge or otherwise counter-play the attack, just get out of the way as fast as you can. Last thing: the poop throw. Yes, he's a monkey, and yes he's throwing his poo at you. 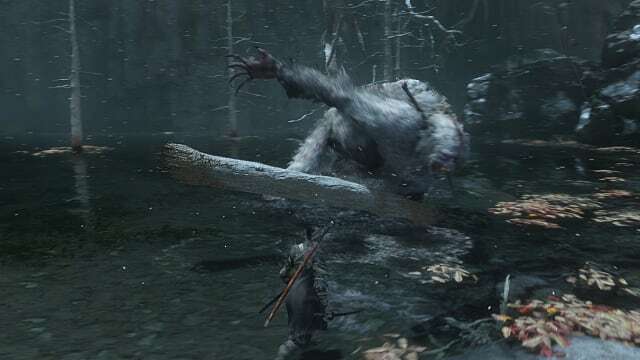 It's for this reason that you never want to stray too far from the Guardian Ape, as you'll bait out his only long-range option that has an enormous hitbox and inflicts both big damage and half a bar of poison. Plus, it's disgusting. Learn the dodge timing on this. You won't regret it. Once you take down the Guardian Ape's Health or Posture, don't forget to use the second deathblow to rip his head from his body, and be ready for phase two. Between the two of them, I find phase two of the Guardian Ape fight far easier but no less dangerous. 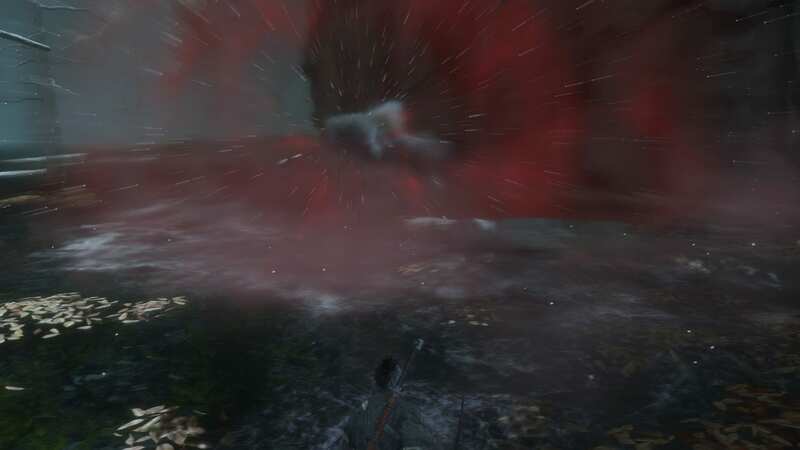 Your goal here is pretty much the opposite of phase one because now the boss has a sword, and you can deflect swords. Unlike before, where attacks were erratic, fast, and difficult to handle in close range, the headless Guardian Ape has slow, flowing attacks with long wind ups. Many of them are easy to deflect, and as long as you keep your head about you, you shouldn't be caught off guard by his opener moves. The trick for this phase is in the Ape's screaming. Not his only unblockable attack, but the one you'll see most often, the scream surrounds the Guardian Ape, deals chip damage, and builds your Terror meter incredibly fast. When the boss raises his severed head and starts to make a high-pitched shriek, your only real option is to run away. You could use a Purifying Agent and face-tank the Terror damage, but if you aren't confident in your ability to counter his follow up attacks, all you get for yourself is a trip back to the Idol. The only other unblockable you really need to worry about in phase two is the sweeping attack. Again, though, because this phase is all about Posture damage, you should be jumping and giving the Guardian Ape a good ole Goomba stomp every time he swings up to cut at your feet. If you are still having trouble, there's one attack you can bait out that all but guarantees both Vitality and Posture damage. The Guardian Ape will rear up on his legs and come crashing down. All you have to do here is run to your right (his left) for a short distance. He'll be on the ground for a few seconds, and you can get in a fair few swings before he recovers. And that's it. 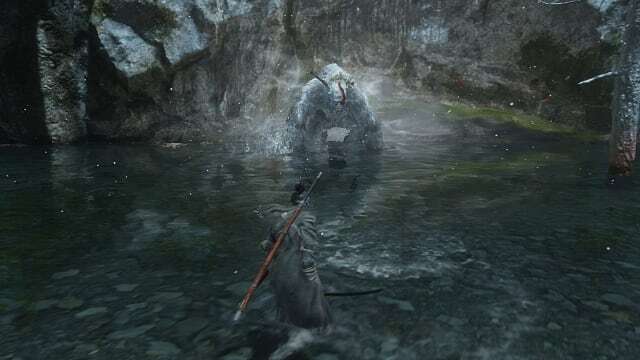 For phase two, stay close to the headless Ape, parry his sword swinging attacks like you have any other enemy in the game, and when the time comes for a deathblow, don't forget the second input. Oh, and Firecrackers don't work in phase two, because, well, the monkey has no head to startle. You chopped it off a few minutes before. 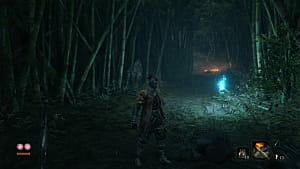 If you fought and defeated the Guardian Ape before heading toward the Ashina Depths, you will fight him one more time after the Snake Eyes Shirahagi in the poison room. The first part of this seocnd fight is a just repeat of phase two from the first, but you'll find the arena to be much smaller. The boss' screams are thus harder to avoid, and more of his attacks are bound to reach you only because you don't have as far to run. That said, the same strategy applies. The wrinkle here is, once you deplete his first Deathblow counter, the Guardian Ape will summon his mate, a smaller, brown gorilla who is essentially his phase one form all over again. Now the fight's interesting, right? It might seem hard at first, but with the application of, yep, Firecrackers, you can take out the smaller annoyance quickly and easily. 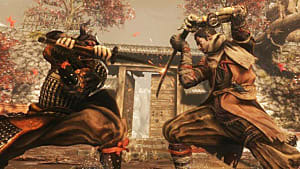 It takes approximately four usages of that Shinobi Tool to bring the mini-Ape into Deathblow range, but the tricky part is separating the two bosses. You could stand directly in front of the Ape-wife and spam Firecrackers until you win, but you'd be risking a swipe from the real boss. My advice here is: bait out a big attack from Guardian Ape, then run in, use one or two Firecrackers, then bail. Once you've got wife-Ape on the ropes, give her a couple of good slashes and deal the deathblow. After that, you're doing phase two of this fight again, and thankfully, for the final time. And that's it. 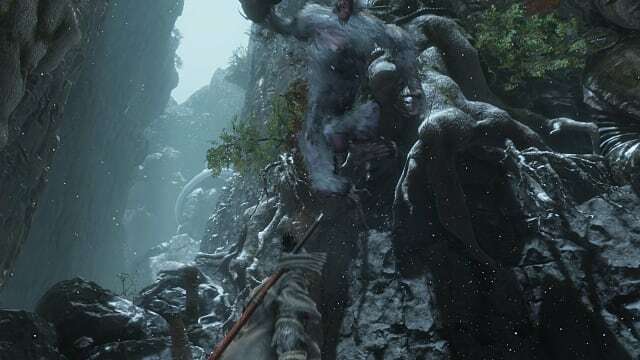 You've beaten the Guardian Ape not once, not twice, not three times, but four whole times. He probably killed you plenty, but you've given as good as you got. Now you're a few steps closer to the Fountainhead Palace and the end of the game. 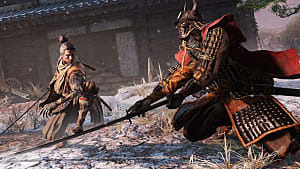 Note: I'm using the Ashina Ash mod for my Sekiro character. Check it out here.